An important goal of this work is to develop new conceptual and observational approaches for understanding how the global carbon cycle is changing. Randerson, J.T., K. Lindsay, E. Munoz, W. Fu, J.K. Moore, F.M. Hoffman, N.M. Mahowald, and S.C. Doney. 2015. Multicentury changes in ocean and land contributions to the climate-carbon feedback. Global Biogeochemical Cycles. 29: 744–759. doi: 10.1002/2014GB005079. Keppel-Aleks, G., A.S. Wolf, M. Mu, S.C. Doney, D.C. Morton, P.S. Kasibhatla, and J.T. Randerson. 2014. Separating the influence of temperature, drought, and fire on interannual variability in atmospheric CO2. Global Biogeochemical Cycles. 28: 1295-1310. Hoffman, F.M., J.T. Randerson, V.K. Arora, Q. Bao, P. Cadule, D. Ji, C.D. Jones, M. Kawamiya, S. Khatiwala, K. Lindsay, A. Obata, E. Shevliakova, K.D. Six, J.F. Tjiputra, E.M. Volodin, and T. Wu. 2014. Causes and implications of persistent atmospheric carbon dioxide biases in Earth system models. Journal of Geophysical Research-Biogeosciences. 119: 141-162. doi:10.1002/2013JG002381. Todd-Brown, K.E.O., J.T. Randerson, F. Hopkins, V. Arora, T. Hajima, C. Jones, E. Shevliakova, J. Tjiputra, E.Volodin, T. Wu, Q. Zhang, and S. D. Allison. 2014. Changes in soil organic carbon storage predicted by Earth system models during the 21st century. Biogeosciences. 11: 2341–2356. doi:10.5194/bg-11-2341-2014. Keppel-Aleks, G., J.T. Randerson, K. Lindsay, B. B. Stephens, J.K. Moore, S.C. Doney, P.E. Thornton, N.M. Mahowald, F.M. Hoffman, C. Sweeney, P.P. Tans, P.O. Wennberg, and S.C. Wofsy. 2013. Atmospheric carbon dioxide variability in the Community Earth System Model: Evaluation and transient dynamics during the 20th and 21st centuries. Journal of Climate. 26: 4447-4475. doi:10.1175/JCLI-D-12-00589.1. Todd-Brown, K.E.O., J.T. Randerson, W.M. Post, F.M. Hoffman, C. Tarnocai, E.A.G. Schuur, and S.D. Allison. 2013. Causes of variation in soil carbon simulations from CMIP5 Earth system models and comparison with observations. Biogeosciences. 10: 1717–1736. doi:10.5194/bg-10-1717-2013. 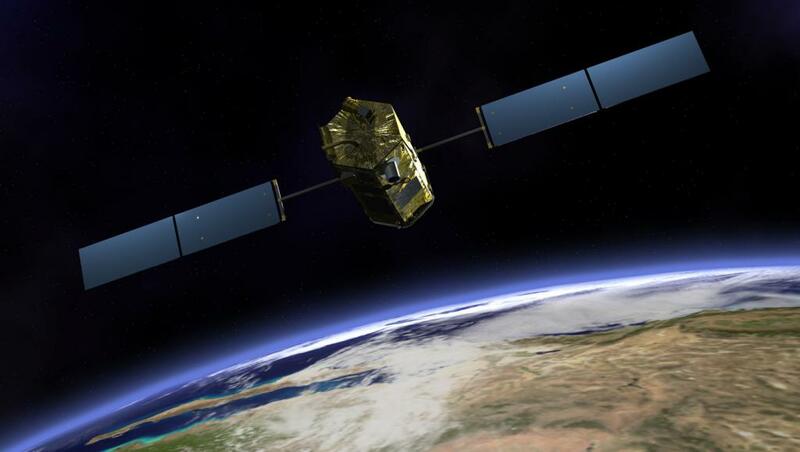 The Orbiting Carbon Observatory-2 (OCO2) is a mission within NASA’s Earth System Science Pathfinder Program.